A Day At The Fair — Sweet Six Candy Co. Being fascinated with farm life, and having just finished reading Farm Anatomy by Julia Rothman, I headed out to the Sarasota Agricultural Fair for the morning. 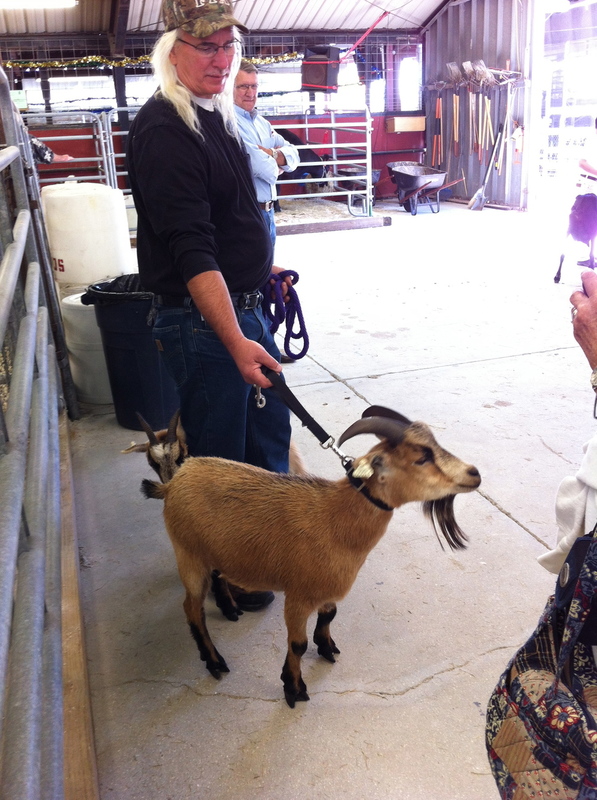 I was so excited to be there in time for the 4-H / FFA Goat show. After the Pledge of Allegiance, a prayer, and the singing of the National Anthem, we got to see the best young handlers and their goats. Later, a livestock barn walk-through got me mooning over my favorite cows, pigs, chickens, and rabbits. I met a camel named Adair and saw a man fly through the air on his motorbike. There was also funnel cake. It didn't last long enough to get photographed.